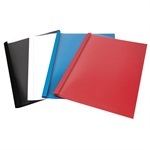 Thermal Binding Covers with white gloss or coloured backs from £13.60/80. Fast UK delivery. Bind your documents securely and professionally in a single operation and without having to buy separate covers and bindings. The high gloss rigid back and crystal clear front cover, lend your documents quality and presence. Hot melt adhesive holds pages securely in the binding cover. 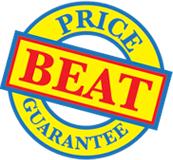 Compatible with all main brands of thermal binding machine (except Unibind). Use in place of separate covers and bindings. A thermal binding machine is required.